Portofino combines luxurious living with a relaxed southern lifestyle. Our beautiful community, nested in the rolling hills of Clayton, NC, offers spacious home sites, exceptional quality, and an appreciation for our natural environment. All of this in a convenient location and with an abundance of amenities. 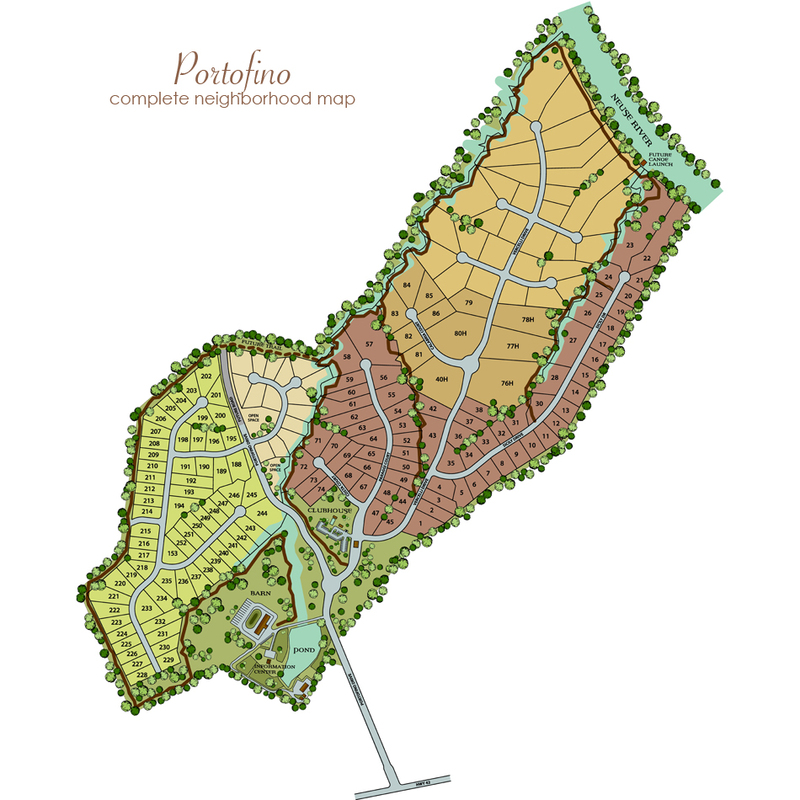 Winding through the Portofino community are over seven miles of nature trails. The centrally located Piazza (our residents’ club) and swimming pool offer endless opportunities for fun, and the Equestrian Center is a key part of the community, whether you are a horse owner or not. Choose an existing home plan or work with a custom builder to create a plan that is all your own. Visit each of our neighborhood collections to find the one that is just right for you. Then feel free to contact us at 919.550.2379 or info@portofinonc.com with any questions. Click here to see new homes currently available in Portofino.